There are many tours that go inside Rosenborg Castle, but regular tours can sometimes have up to 30 in them, making it hard to get your questions answered along the way. 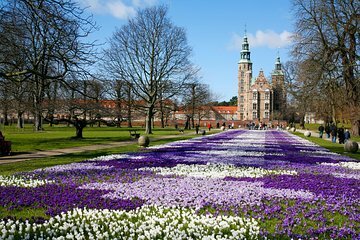 This private Rosenborg Castle tour is just for you and your private group. Follow your guide through the castle as you learn about its history, and get personal attention. Plus, this tour is near other Copenhagen attractions, so you can fit in more sightseeing before or afterward.